This post is obviously also brought to you by the number two. The only reason it isn't one long post is because I wasn't sure I could hold your attention for that long and because I wanted to throw another two in somehow since these posts are sponsored by 2 (as you can see in the endorsement up top). Sorry Omi, but . . .
Back to the action! We took a gorgeous route to get to Zion. 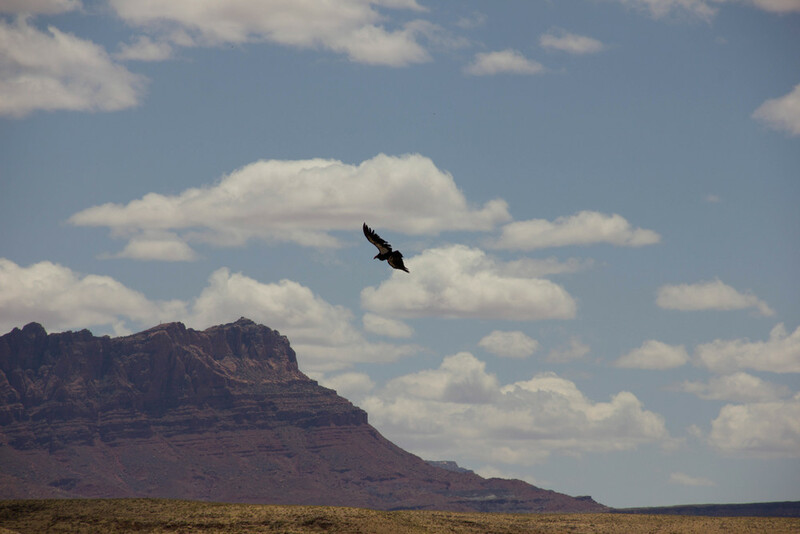 We drove through the painted desert where I took a bunch of pictures of our progress. Some of them even turned out. Oh! And the Omimobile turned 90,000 miles old, so we had to capture that as well. 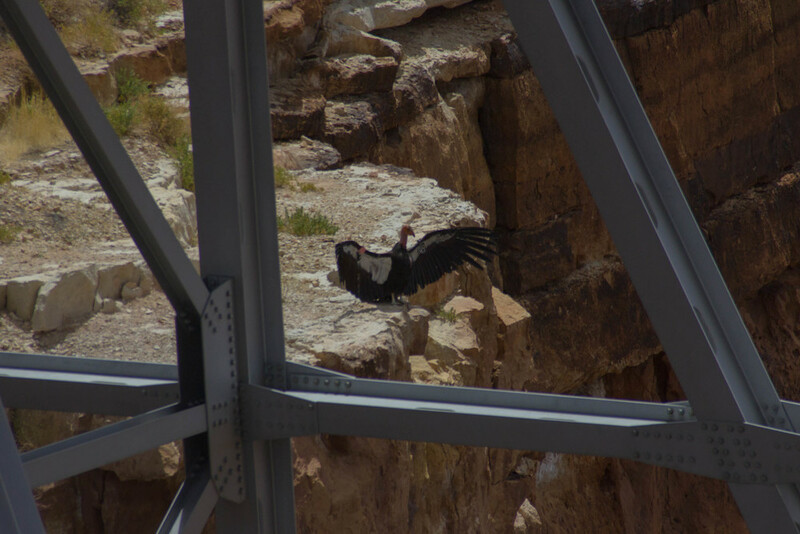 We made a little rest stop on a bridge that went over the Colorado river and saw two cool animals: a weird bug, but more importantly, a California Condor. These birds are highly endangered. Our little buddy was tagged H9 for those counting at home. The view of the river was something else as well. After a stop for lunch in a Utah town that was having a grayhound festival, we were an hour away from Zion. When we finally arrived we could not believe our eyes. The mountains looked like they were made of white lava that cooled, or like wasp's nests, or pulled taffy, or syrups of bacon. We had seen some pictures if Zion, but nothing like that! After passing through two tunnels (one very short one and one very very long one that had windows carved into it every hundred yards or so) we got to the other side of the park that had formations that were more familiar to us. We stopped by the visitors center to get our passport stamped and to ask a ranger about hiking The Narrows. It seemed that the conditions for this sometimes perilous (or even completely closed) hike would be ideal. We got up the next morning and got outfitted for waterproof pants, neoprene socks, fancy river shoes, and a walking stick. We watched an informational video about the hike that covered everything from "don't splash strangers on purpose" and "collect solid human waste in bags is you need to go on the hike" to "if the water gets muddy, seek higher ground, you're likely going to see a flood. Good luck." Lots of preparation, but we wanted to be sure we were well equipped to handle any needs that should come up for any of the three of us so that we could truly enjoy a very unique experience. I realize I should explain what the narrows hike is exactly because it is not a normal hike. We took a 40 minute park shuttle to a paved trailhead, walked about a mile and when the trail ended we went down some stairs to the Virgin River*. 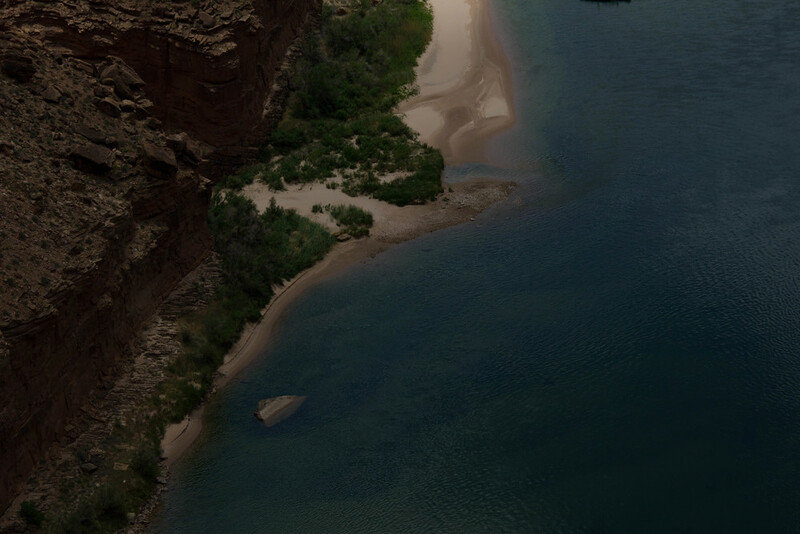 The river is actually at the bottom of a slot canyon and the hike is through the river. The canyon walls reach high above you, over a thousand feet in some places. The water was around 50 degrees and since we would have wet feet for several hours we thought having the gear might help us last longer on the hike. Indeed it did. Sure, there were some guys doing it in flip-flops and I envied them at first, but when we got to the deeper and shady parts of the river I was glad for the shoes and the waders. Here we are at the start of the hike. Fresh, nervous, excited. As we hiked along we passed someone who reminded us to be happy and enjoy it as much as possible because we were seeing the canyon and the river in a way many people never would. He was right. I smiled as I passed the little waterfall he told us to look for. I became happier and braver. My mom became a bit meditative and awestruck. Sam took his camera out of the waterproof bag so many times he stopped putting it away, as you can see. Our goal was an area called wall street and after a few hours of slow wading and photos galore, we arrived. Just two miles from our start, but the water slows the hike. By the time we turned around we knew we faced a time crunch. We had to return the gear, wanted to go back to the other side of the park to get some pictures of the taffy rock mountains, and then had to drive to Vegas. That's right, Vegas. One night only! At the Mirage! thanks to my mom's research, generosity, and her coworkers' travel tips. But I'm ahead of myself. We did it all though. Returned the gear. Drive to the other side of the big tunnel and to pictures of the taffy mountains. And minutes after my mom said "I'd love to see some long horned sheep," guess what we saw? And guess how many. No. Not two. Twice that! Two grown up sheep and two babies. Here's proof! And then we drove. We got to Vegas. We bathed. We walked the strip on a Friday night. We went inside of the Bellaggio and Caesers. We ate. We slept. My poor mama only got an hour or two of sleep before she had to leave for the airport. And in the morning we walked around some more, ate breakfast at the Omelet House (cheaper and tastier than anything we could afford on the strip), and then started the long drive to California. Mom, thanks for taking the time to meet us out West. I am so glad we spent that time together, so proud of what we accomplished, and so glad for the memories we made together. * Every geographic feature at Zion, including the park itself has a religious name. The Virgin River. The Court of the Patriarchs after Abraham and two other old testament guys. Angel's Landing.